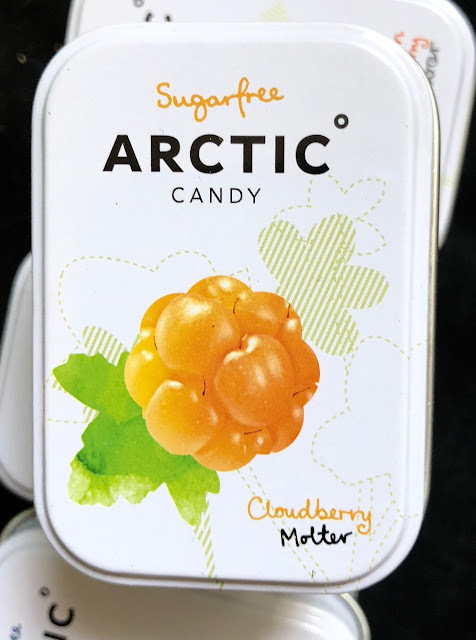 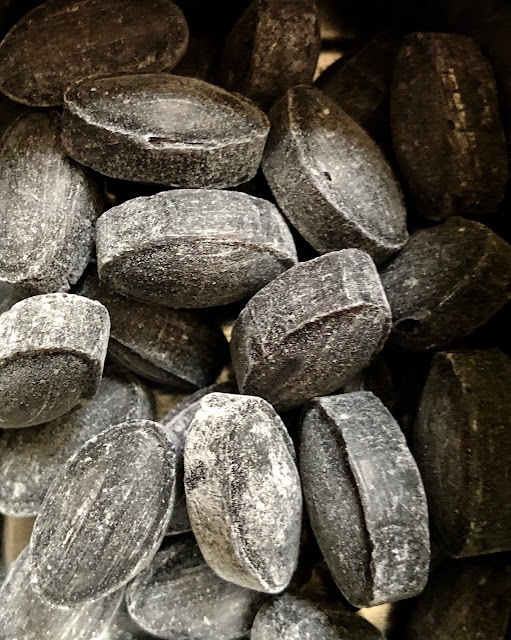 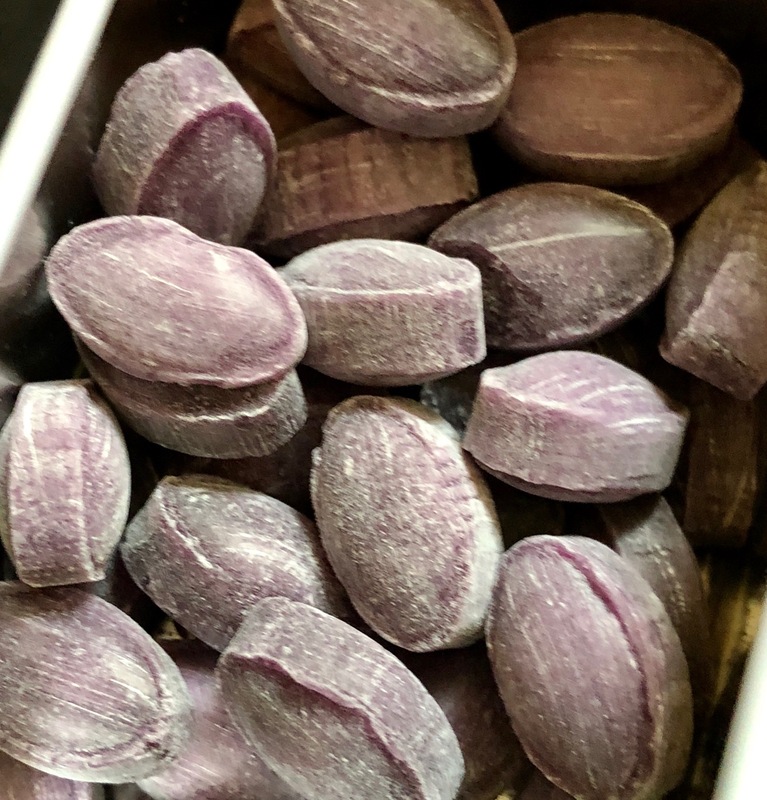 Crafted in Norway, Arctic Candy constitutes beautifully packaged sugarfree hard candies in the flavors of exotic berries of the Arctic Circle. 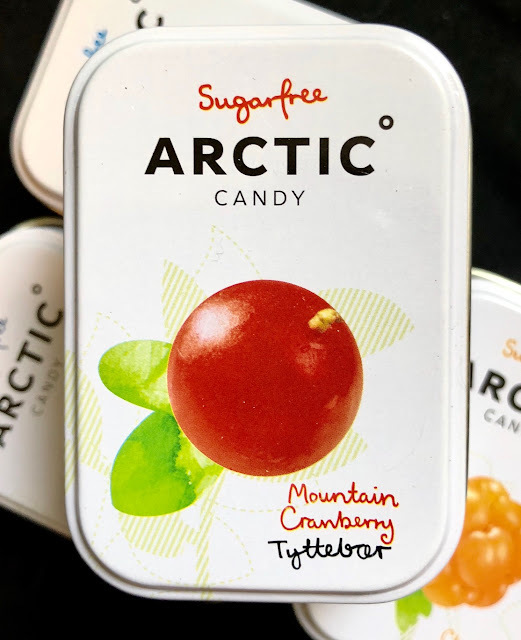 Blueberry, Cloudberry, Crowberry and Mountain Cranberry are all delicious, vibrant, bright flavors. 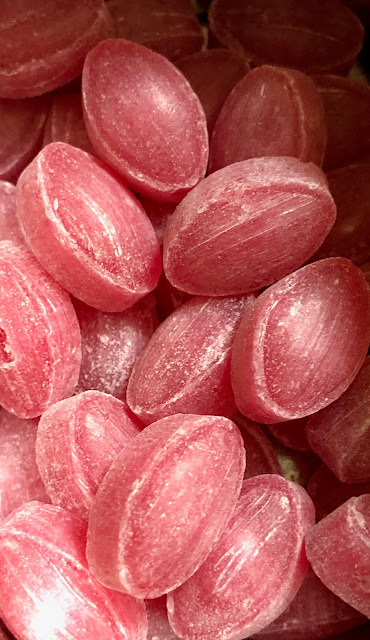 These don't taste sugar-free. 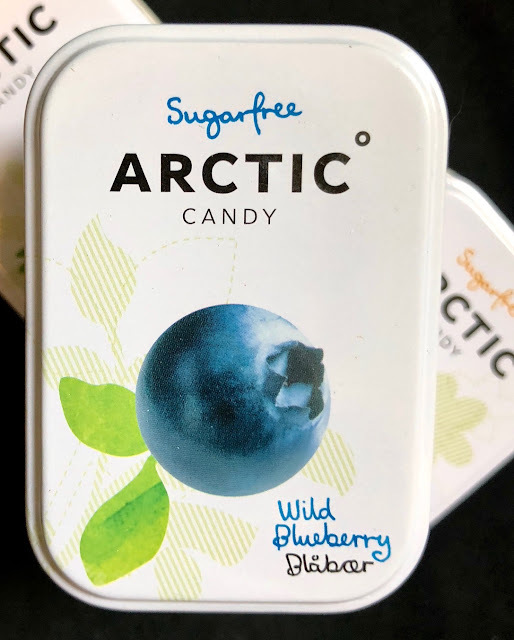 Blueberry and Cranberry are the flavors one might expect, with a special shoutout to the Cranberry as the most delicious flavor, not to mention a beautiful pink hue. Cloudberry has a mellow, almost melon-like taste. 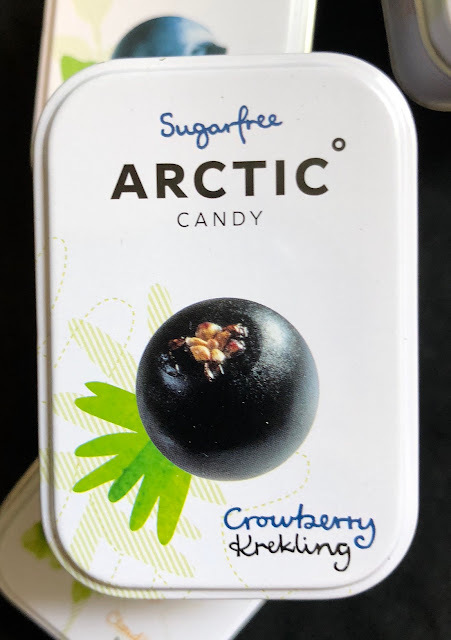 Crowberry is similar to a Cassis. 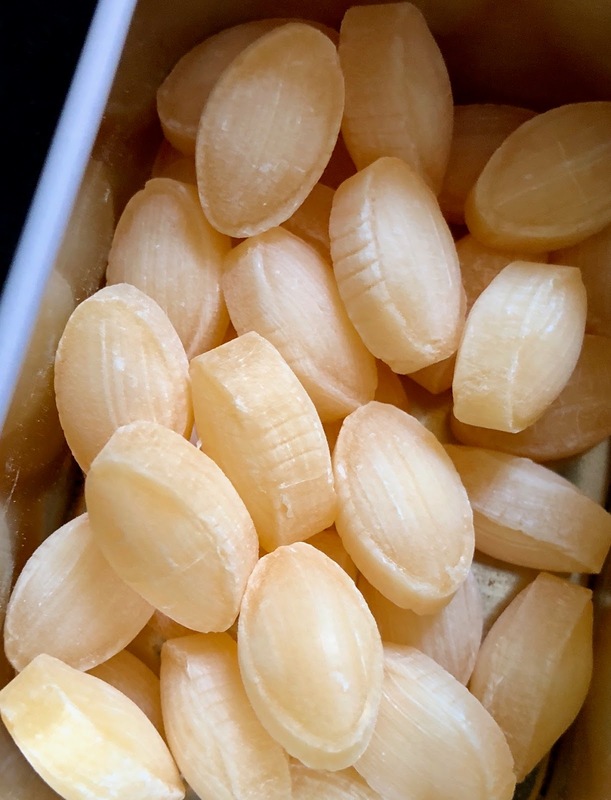 These are elegant and so tasty and I hope they get distribution in the United States. Thanks to my Mom for bringing these home from her travels!